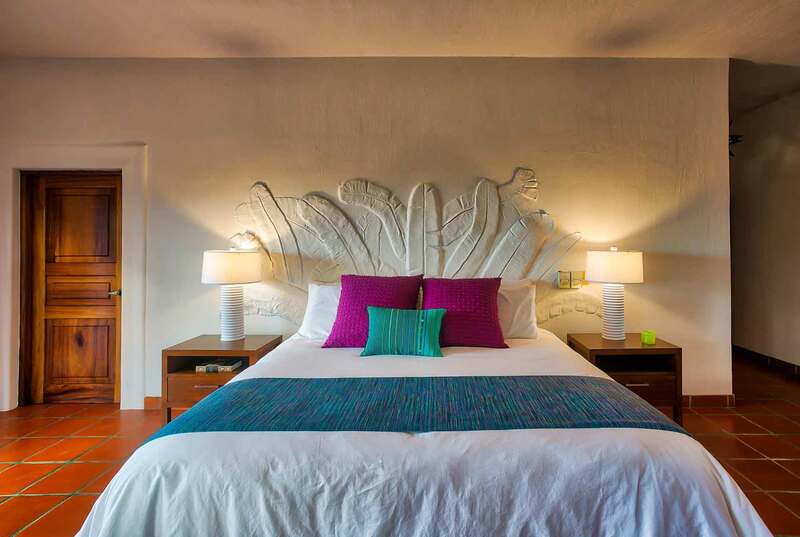 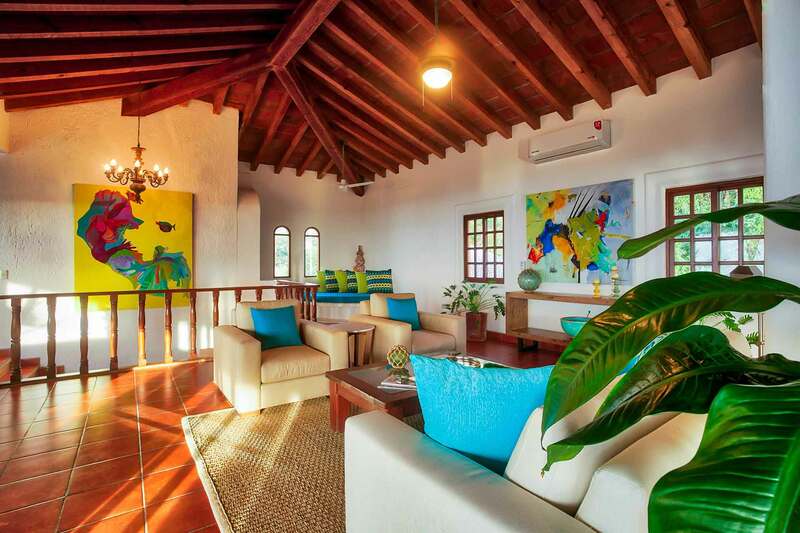 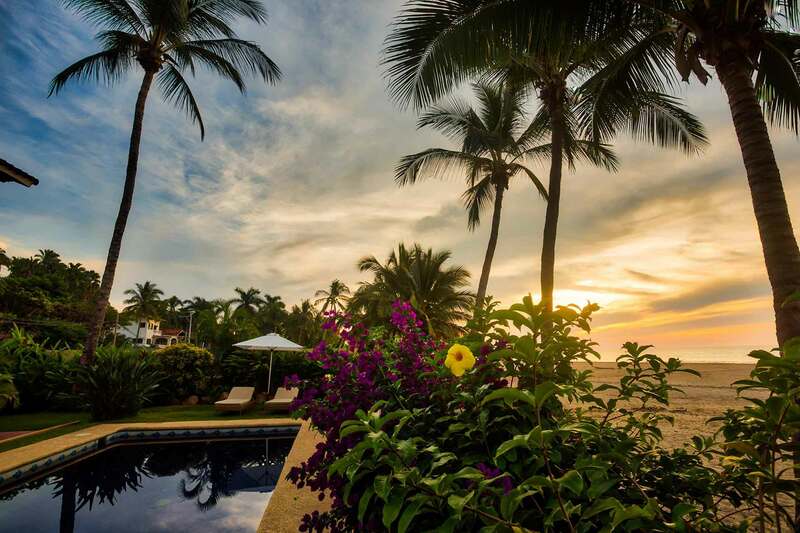 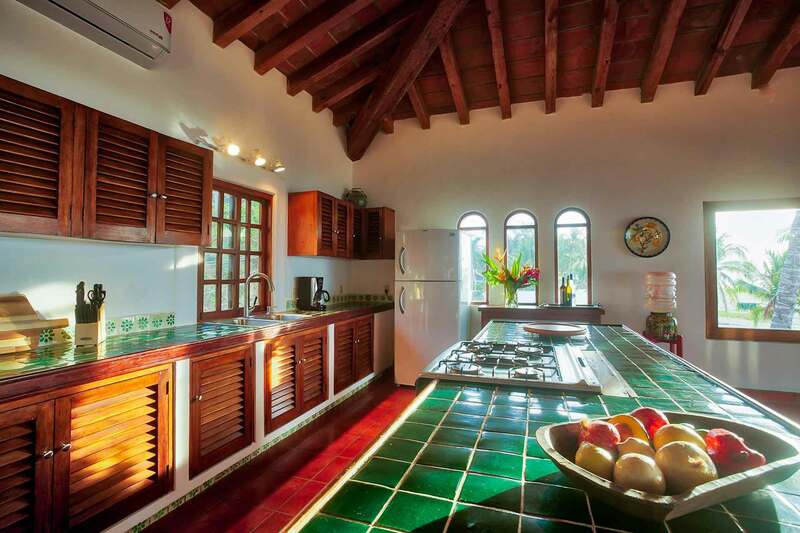 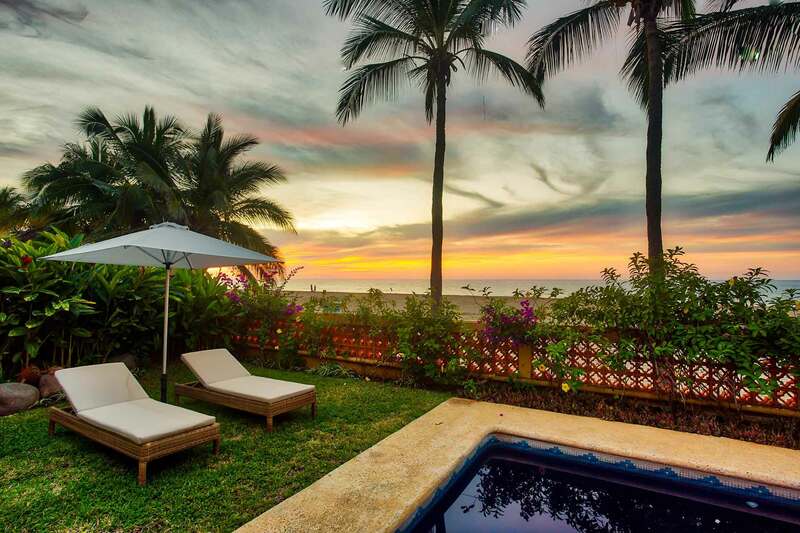 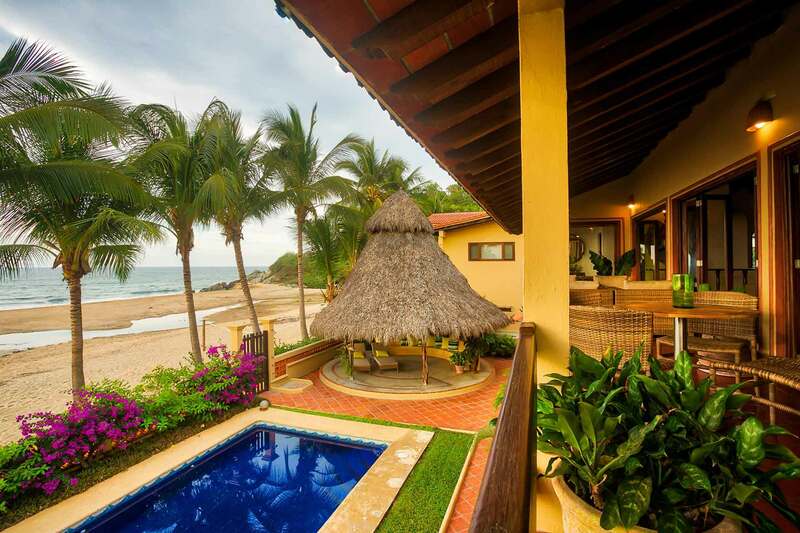 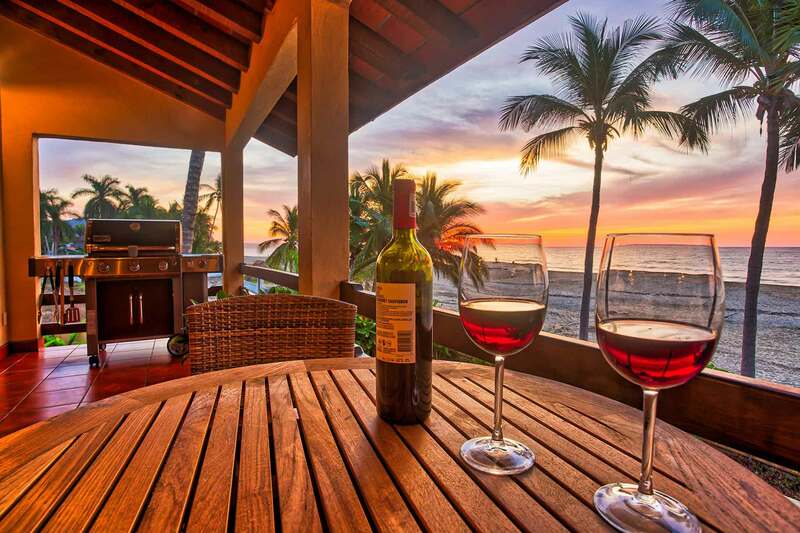 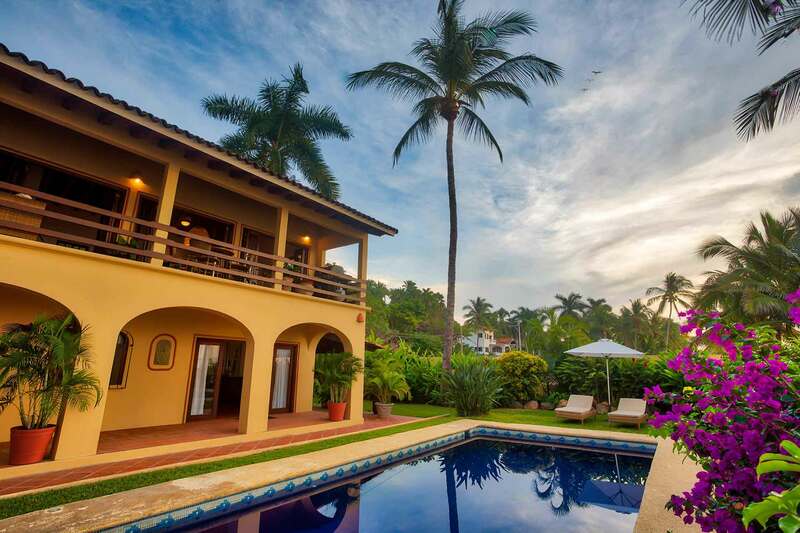 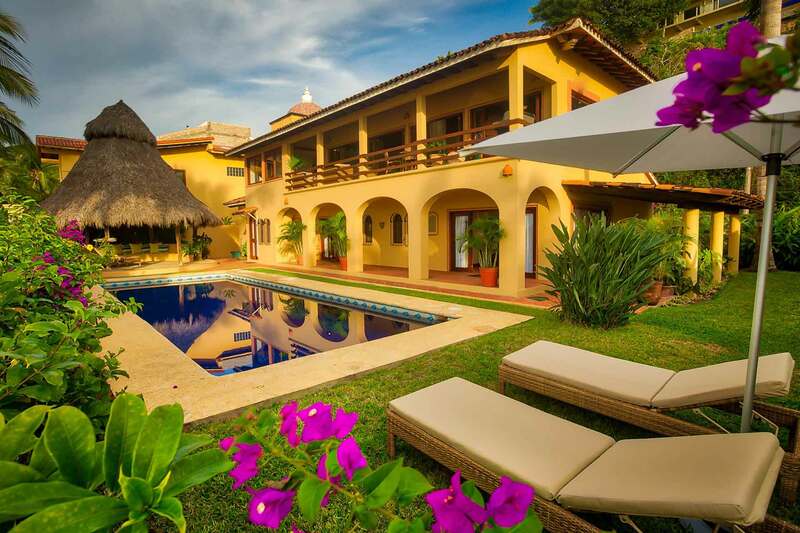 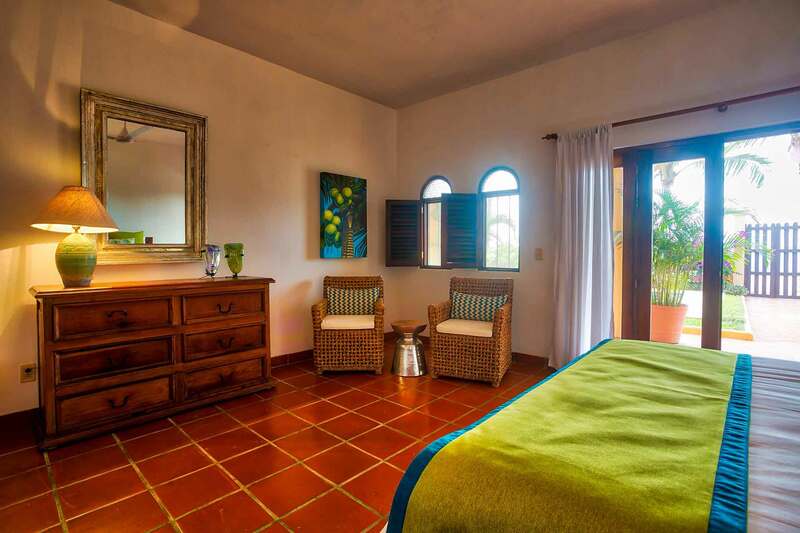 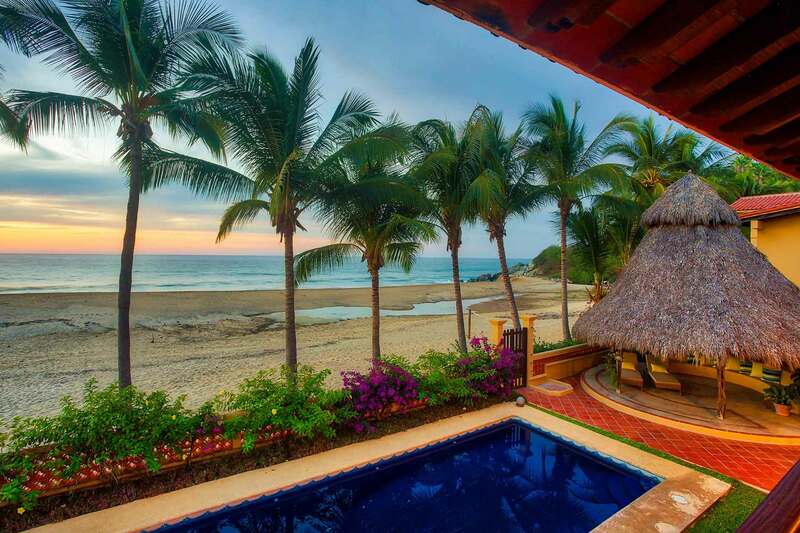 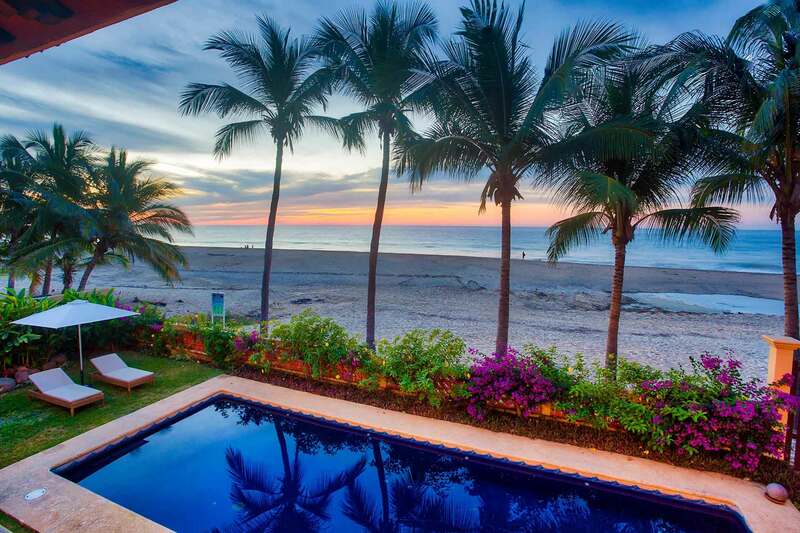 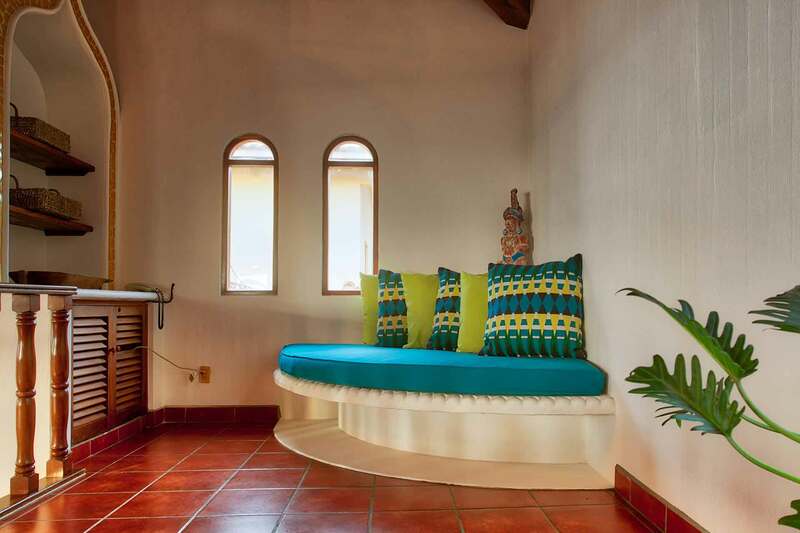 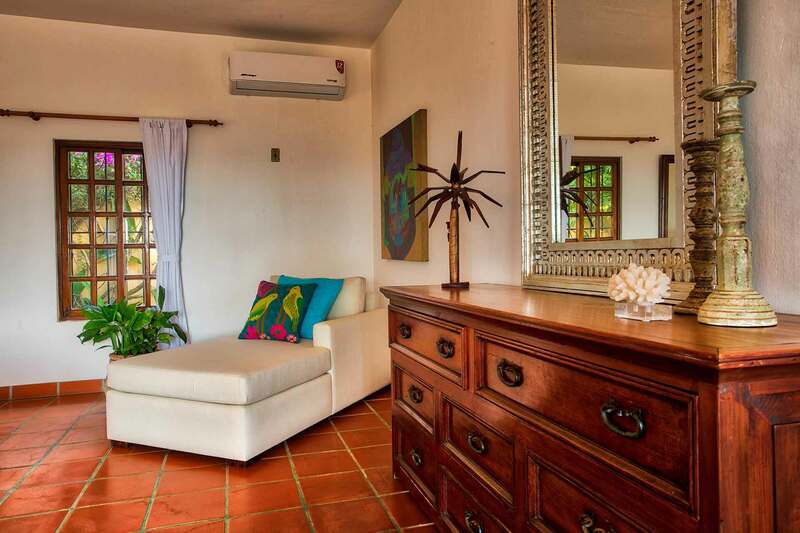 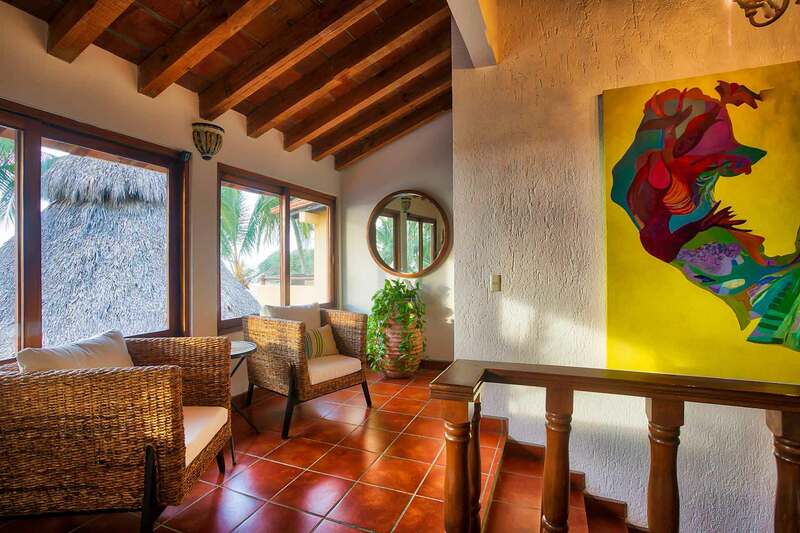 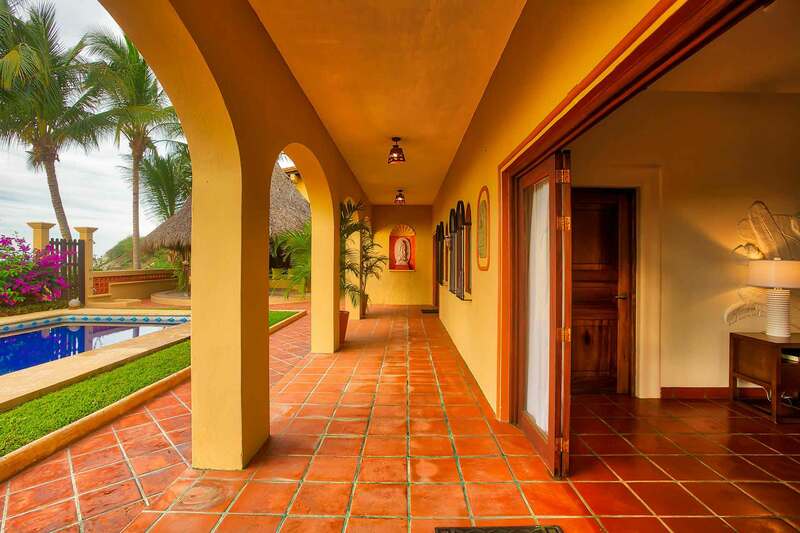 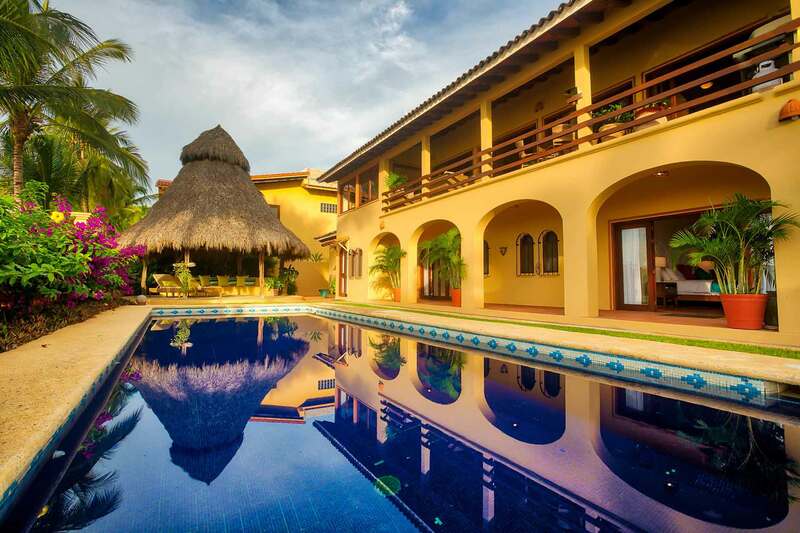 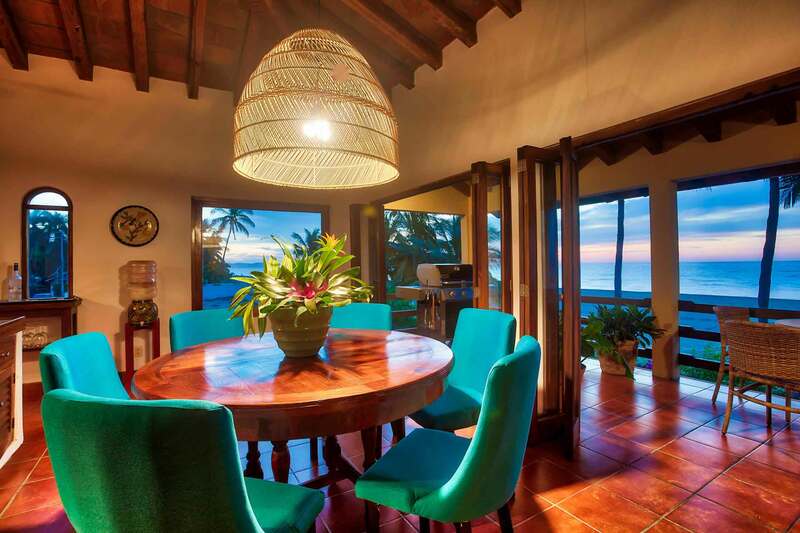 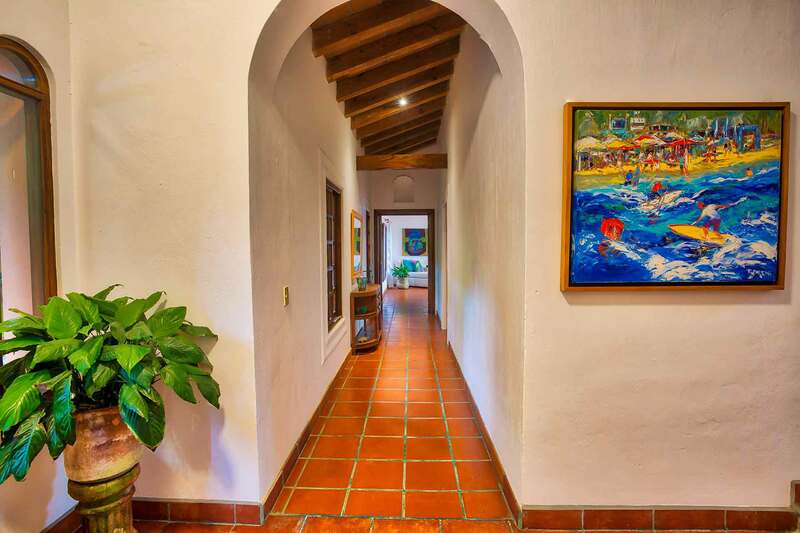 Casa Onda is a fabulous, Spanish Colonial style, beachfront, two-bedroom home and is just one of the few villas of its kind, located on main San Pancho beach. 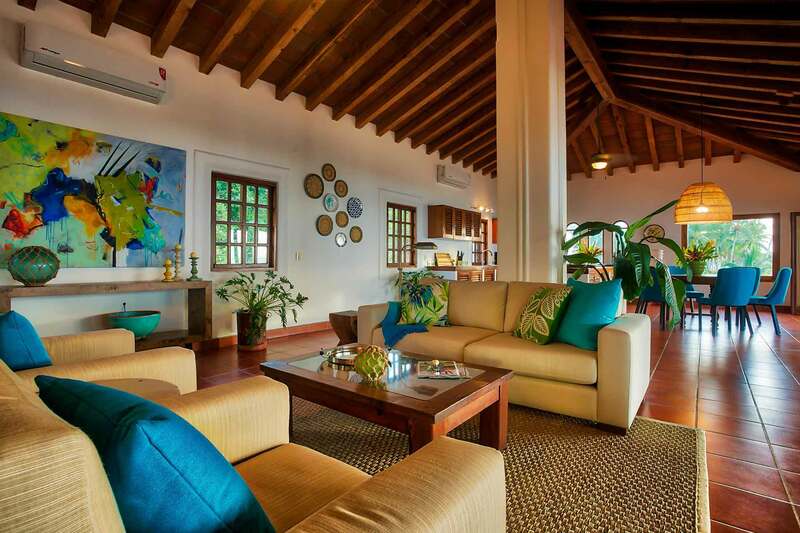 This two-story, plentiful layout lends itself to comfort and leisure. 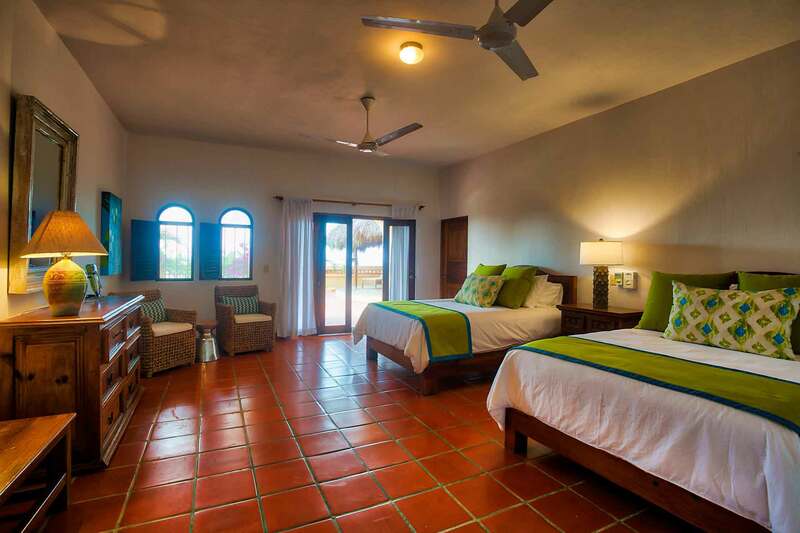 The entrance level encompasses the two en-suite bedrooms. 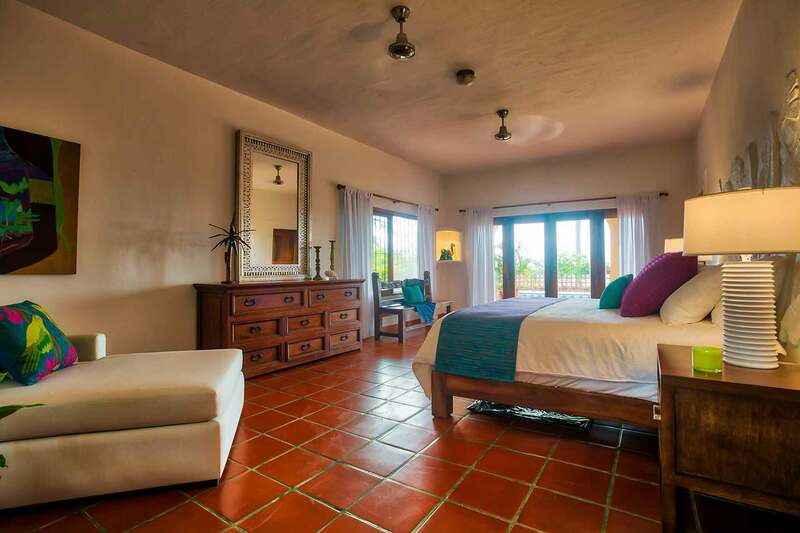 The master bedroom hosts a king-size bed, air conditioning and an adjoining bathroom, including a large, built-in bathtub and dressing area. 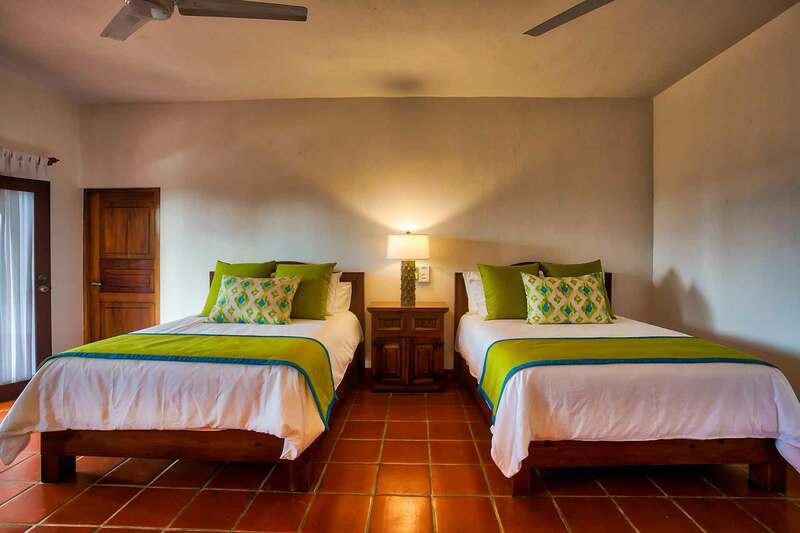 The guest bedroom hosts two double beds and full bathroom with shower. 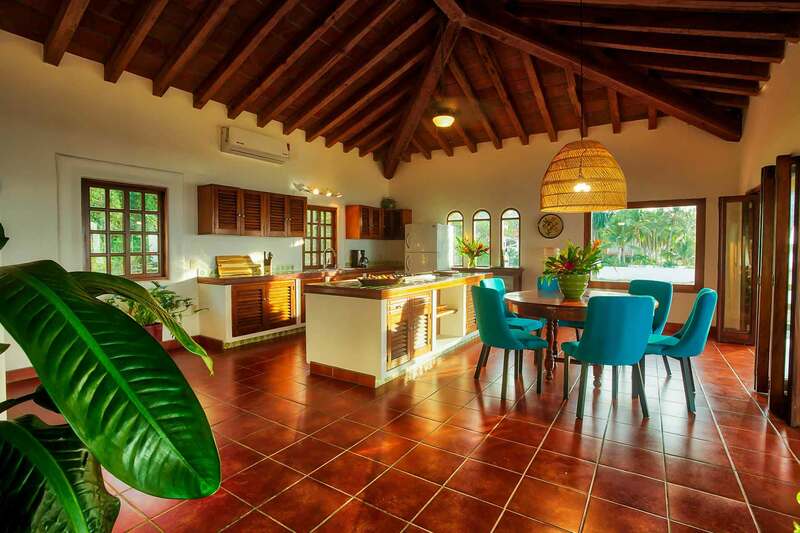 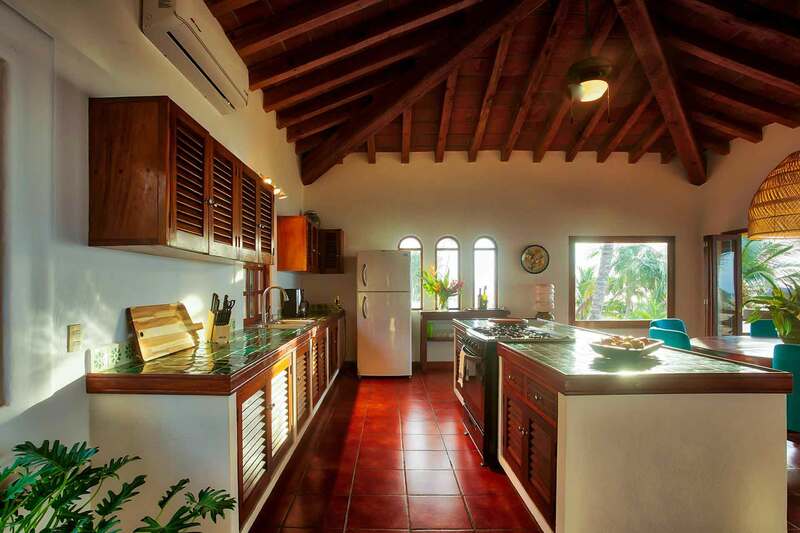 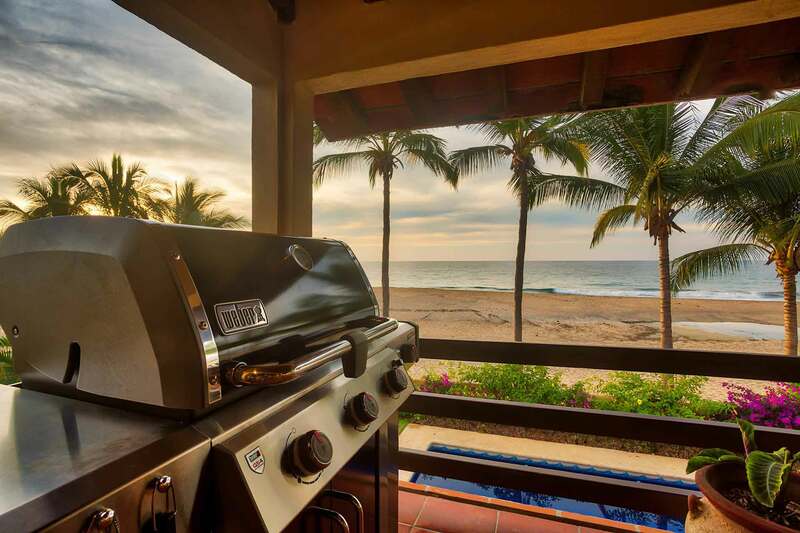 The ample and fully equipped kitchen is located upstairs along with the large, living/dining area that is enclosed in beautiful glass tropical wood-framed windows and doors, offering sweeping panoramic views of the sapphire blue Pacific Ocean and pristine San Pancho Beach. 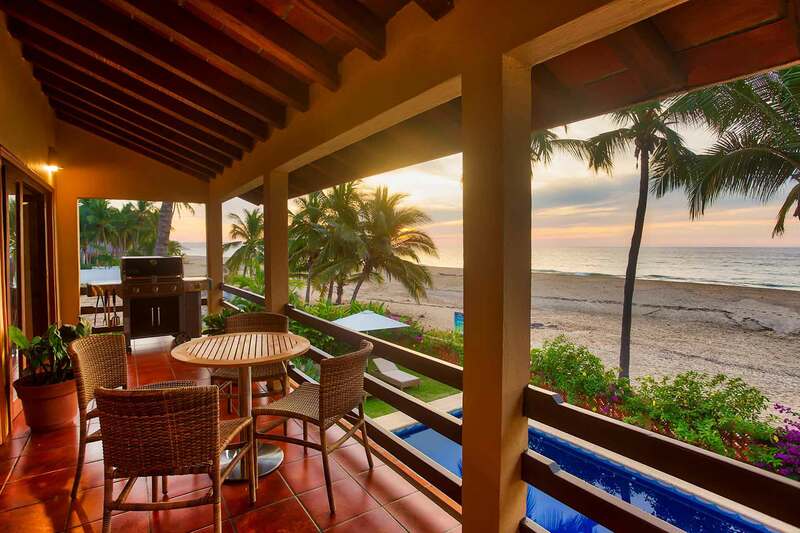  You can step out to the upper terrace in the morning with a cup of coffee or at sunset with a margarita, while taking in the breathtaking views of the sand and sea. 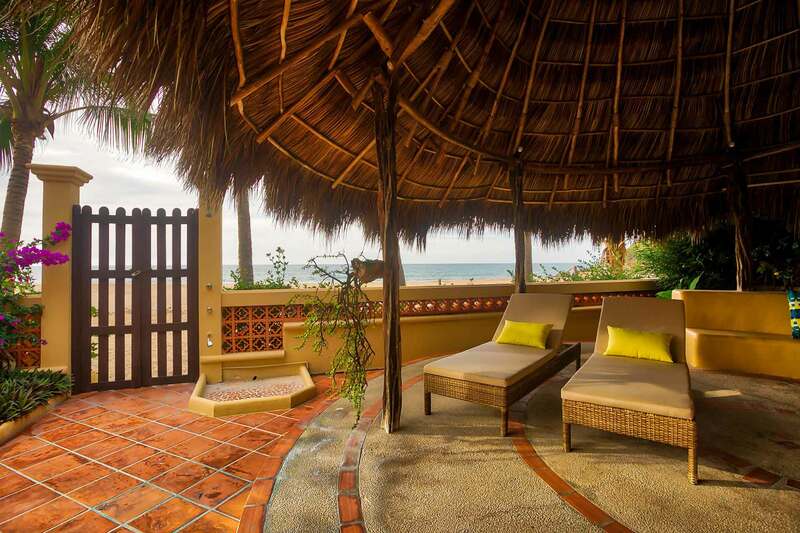 Enjoy many hours lounging around the beachside pool and outdoor garden or chatting under the cool, palapa-covered sitting area, both surrounded by lush, tropical foliage. 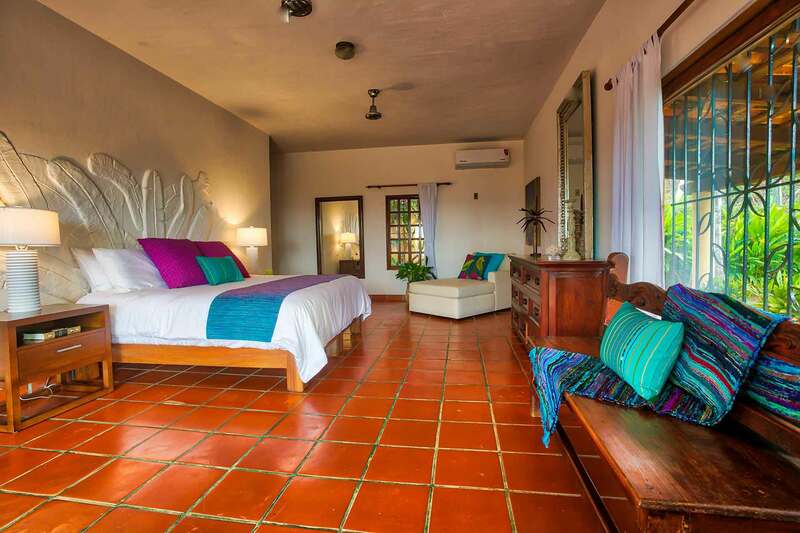 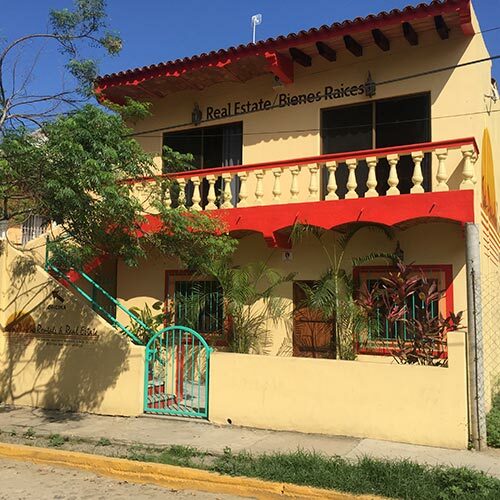 The drive to the enchanting village of San Pancho, where you will find a wide variety of gift shops, mini grocery stores and restaurants, takes approximately 5 minutes.